The mission of Fingerprints Ministry is to produce and deliver scripture to various peoples of the world in their native language. These Roman Salvation booklets are sent to the mission field with our fingerprints all over these scriptures. In partnership with Beacon of Truth ministries, the scripture and covers are printed, then folded, collated, and bound by Fingerprints workers of the Mountain Lake Independent Baptist Church. This native language scripture is then trimmed, packaged and shipped to the mission field for distribution to the unsaved. Surveys have shown that each copy of the Romans Salvation booklet with the illustrated plan of salvation is read on average by 10 people. Often this scripture is the first presentation of the gospel in the reader's native language. As each copy is produced, it is handled by at least five church workers who quite invisibly leave their fingerprints on and in this scripture. While most of us do not travel the world to "preach the gospel to every creature" especially in their native language, we can through Fingerprints, fulfill the command from God as found in Mark 16:15. The Romans Salvation booklet with the illustrated plan of salvation is provided to the unsaved free of charge. They hear the gospel and have the opportunity to accept salvation through the grace of God. The cost of the booklets and distribution is borne by the saved who have humbly accepted salvation and now go on to be faithful servants of the Lord. Please accept God's commission to reach the unsaved by sponsoring this work. Romans Salvation booklets with the illustrated plan of salvation are packaged 220 to a box. Your donation of $60 will help reach 2200 people(*) with the gospel in their native language. The cost is less than three cents per person for the opportunity to read the gospel and accept Jesus Christ as their personal Savior. Please use this button to make a charitable donation to the Fingerprints Ministry of Mountain Lake Independent Baptist Church. Thank you! 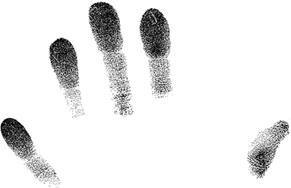 Mission of Fingerprints Ministry,to produce, deliver scripture to peoples of the world in native language. Roman Salvation booklets are sent to mission field with fingerprints all over scriptures. In partnership with Beacon of Truth ministries, scriptures are printed, folded, collated, bound by Fingerprints workers of Mountain Lake Independent Baptist Church. Native language scripture is trimmed, packaged and shipped to mission field for the unsaved. Surveys show each copy of Romans Salvation booklet with the illustrated plan of salvation is read by 10 people. Often this scripture is the first presentation of the gospel in the reader's native language. Each copy is handled by at least five church workers who leave their fingerprints on scripture. Most of us do not travel the world to "preach the gospel to every creature" in their native language, but through Fingerprints we fulfill the command from God as found in Mark 16:15. Romans Salvation booklet with illustrated plan of salvation is provided to unsaved free of charge. They hear the gospel and have opportunity to accept salvation through the grace of God. Cost of booklets and distribution is borne by the saved who have humbly accepted salvation and now go on to be faithful servants of the Lord. Please accept God's commission to reach the unsaved by sponsoring this work. Romans Salvation booklets with illustrated plan of salvation are packaged 220 to a box. Donation will help reach unsaved people with the gospel in their native language. Any donation gives unsaved people opportunity to read the gospel and accept Jesus Christ as their personal Savior.